WiFi is complimentary in all rooms. Price $30 or included in the $30 extra person charge per night. Our Studio Suites are approximately 400 square feet of living space with either two double beds or one king bed and a kitchenette. Select studios have full kitchens by request. All studios have a dining area for two, seating area with couch and individually controlled air conditioning. Amenities include Spa Binge Organic products, iron/ironing board, hair dryer, Free WiFi and coffee & tea. These studios are located between the 6th and 25th floors of the hotel. 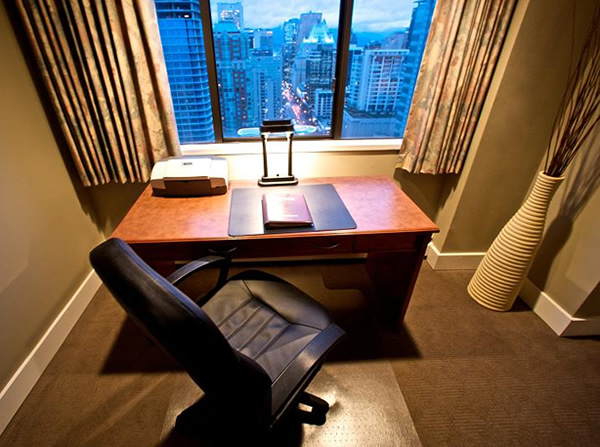 Located on our Corporate 26 & 27th floors, our Corporate King Studio offers approximately 400 square feet of living space and exceptional views of our city & local mountains. They feature a working desk with all in one HP Officejet (faxing, printing, copying or scanning), complimentary High speed internet and local telephone calls. 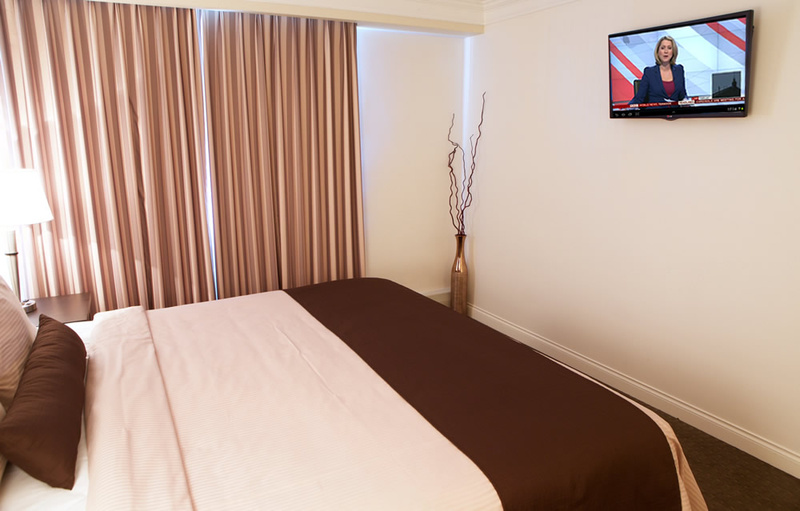 All Corporate Studios have kitchenettes, individually controlled air conditioning & in room safes. Other amenities include Spa Binge Organic products, iron/ironing board, hair dryer and coffee & tea. Have 2 twin beds in the bedroom. 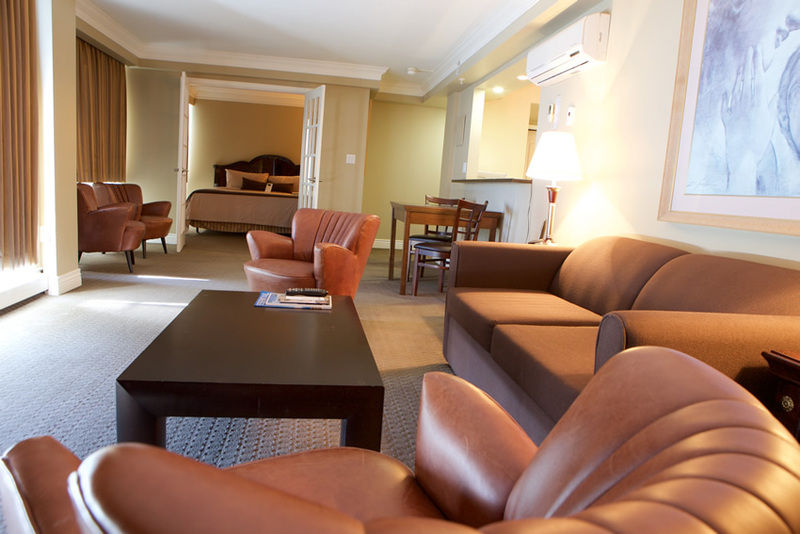 Our One Bedroom Suite Twin is approximately 650 square feet of living space with a separate bedroom & living room. The bedroom has two twin beds and the living room has a full kitchen, balcony and seating with double sofa with individually controlled air conditioning. Amenities include Spa Binge Organic products, iron/ironing board, hair dryer, Free WiFi and coffee & tea. 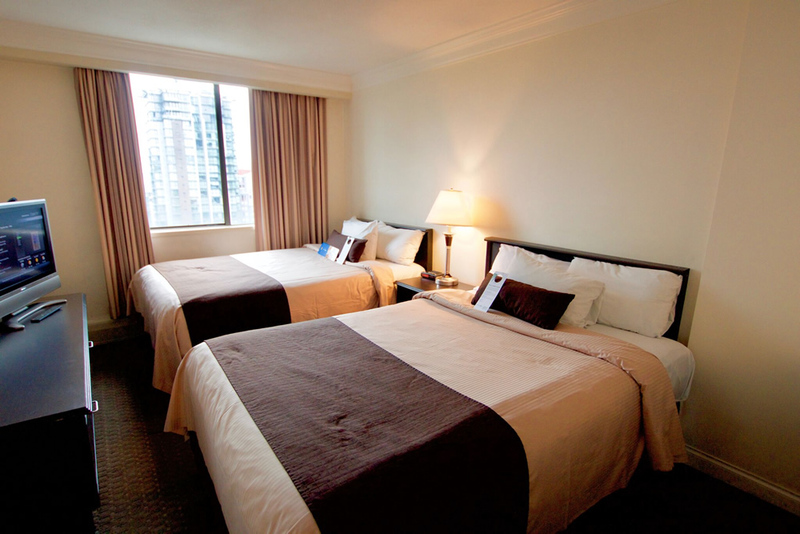 These corner suites are located between the 6th and 24th floors. Have 1 King size bed in the bedroom. 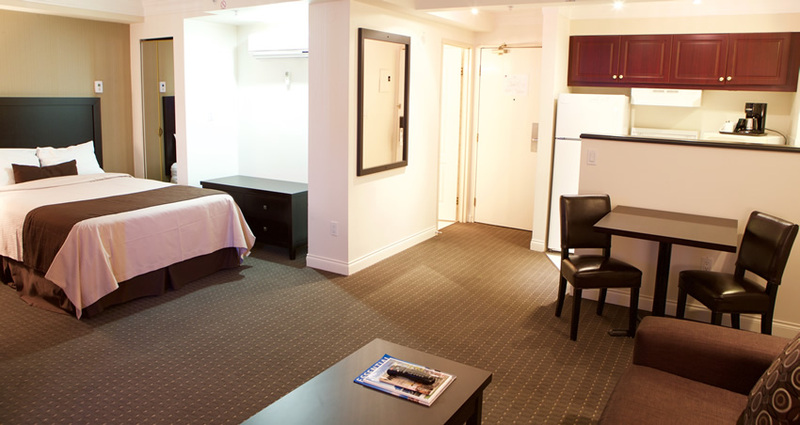 Our One Bedroom Suite King is approximately 650 square feet of living space with a separate bedroom & living room. The bedroom has one king size bed and the living room has a full kitchen, balcony and seating area with sofa with individually controlled air conditioning. These corner suites are located between the 6th and 24th floors. 1 King size bed in the bedroom. One Single Roll Away Bed or one Double Air Bed per suite. Located on our 25,28 & 29th floors our Executive King Suite is one of our largest, offering 650 square feet of living space with a separate bedroom & living room. The bedroom offers one king size bed and the large living area has a full kitchen with serving area, living room with sofa & a balcony with a 180 degree view of Vancouver’s skyline. Located on the 30th floor our Penthouses offer breathtaking views overlooking English Bay, north shore mountains and city skylines. Note: no rollaway or extra beds available for this room type.